Casa Carrollena - Excellent OCEAN FRONT opportunity at the north end of Sayulita. Casa Carrollena is one of only six homes in the exclusive Las Gemelas beach front development. Great location, just steps to the sandy beach and easy walking distance to downtown. 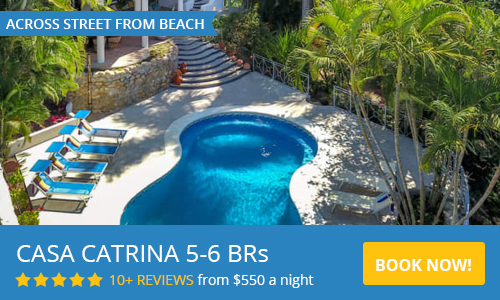 Recently renovated, Casa Carrollena has 3 bedrooms, 3 baths, comfortable patio overlooking the ocean, shared pool and an additional building lot at the rear of the property. Great rental property. Casa Carrollena is fully furnished and ready to move in or rent out. Air conditioned, off street parking, fully enclosed grounds. This is a rare opportunity in Sayulita! One of the best locations in town.